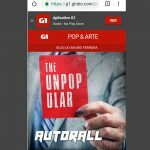 Autorall performs T.I.F, live at FFFront in São Paulo/Brazil, at “The Unpopular” EP release party on Feb 14th, 2019. 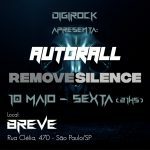 Live gig featuring the producer Daniel Brita on trombone. 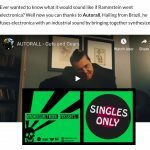 Autorall performs “El Presidente”, track of THE UNPOPULAR EP, at FFFront (São Paulo/Brazil), feat. Felipe Machado (VIPER/FM SOLO). 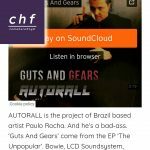 Autorall performs UNB (Universo Não Binário), live at FFFront in São Paulo/Brazil, at “The Unpopular” EP release party on Feb 14th, 2019. 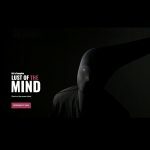 Autorall performs “Lust of the Mind” at Virada Virtual, an event that holds place at “Estúdio Lamparina” (Lamparina Studios) in São Paulo/SP – Brazil, on a monthly basis and it is worldwide broadcasted.